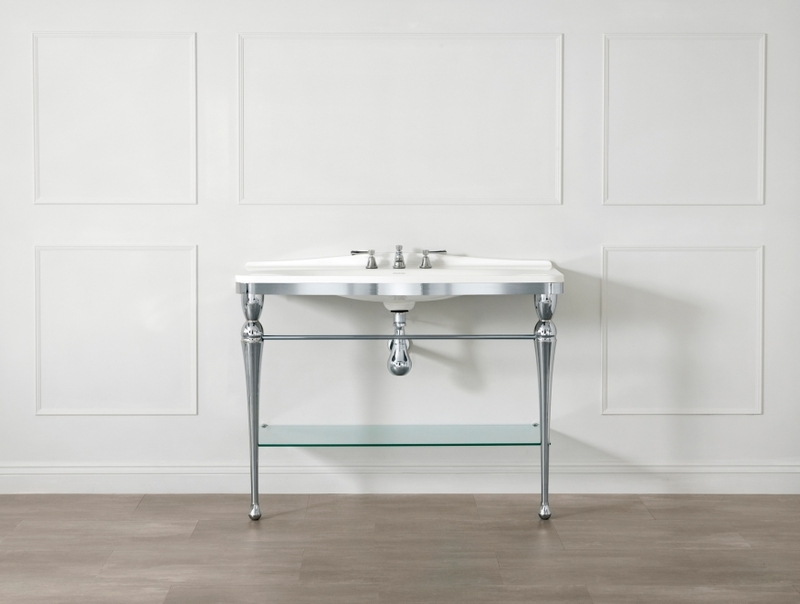 Each of these washstands are made in a brass construction with a Polished Chrome finish, and topped with a Quarrycarst® basin. 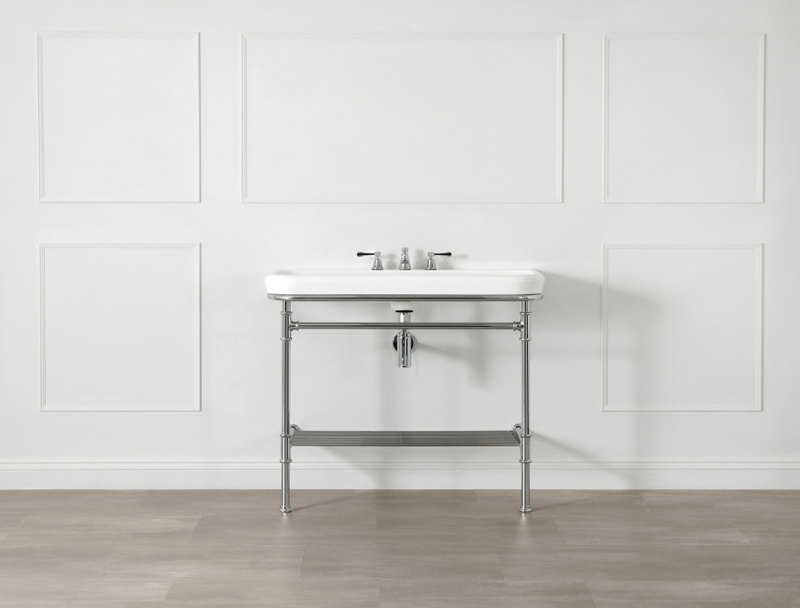 Contemporary and slim, simple in their elegance every pieces will work equally well in modern or traditional environments. 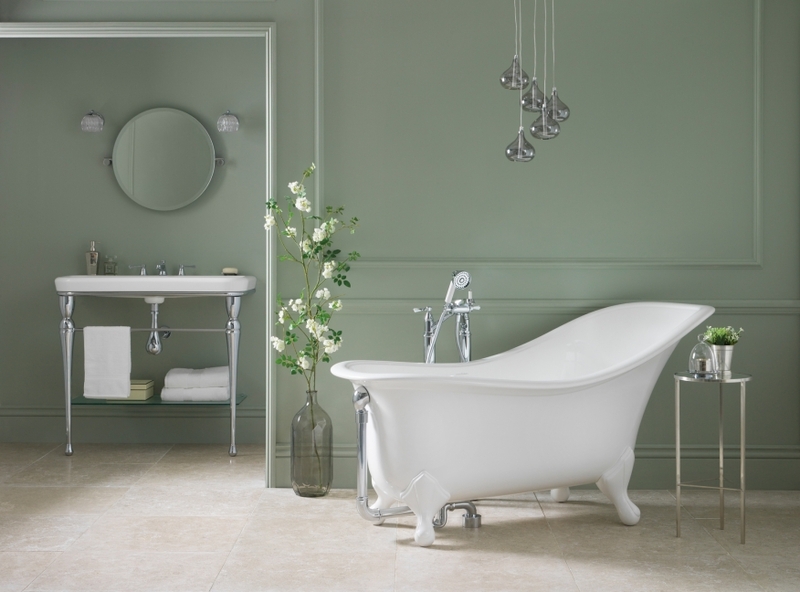 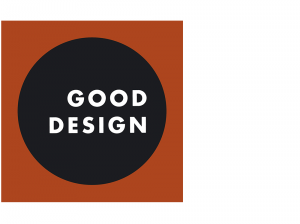 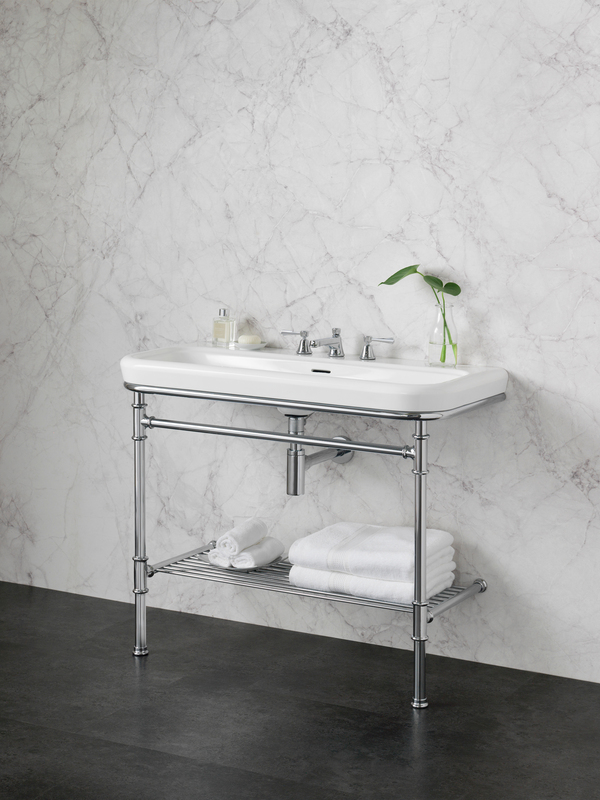 The Metallo washstands are timeless design classics, with right angle tee joints that reference traditional bathroom pipework, looking equally at home in a period bathroom or industrial-inspired scheme. 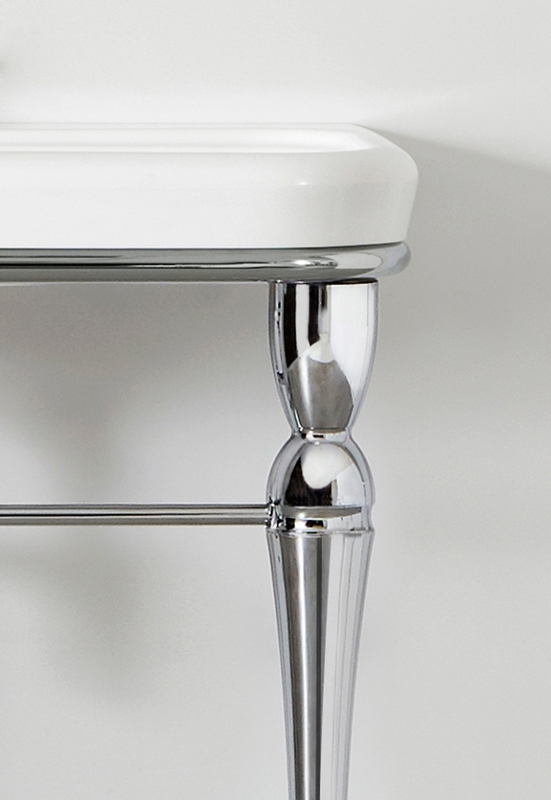 The Candella washstands are typified by the design of the legs, which feature elegantly shaped details. 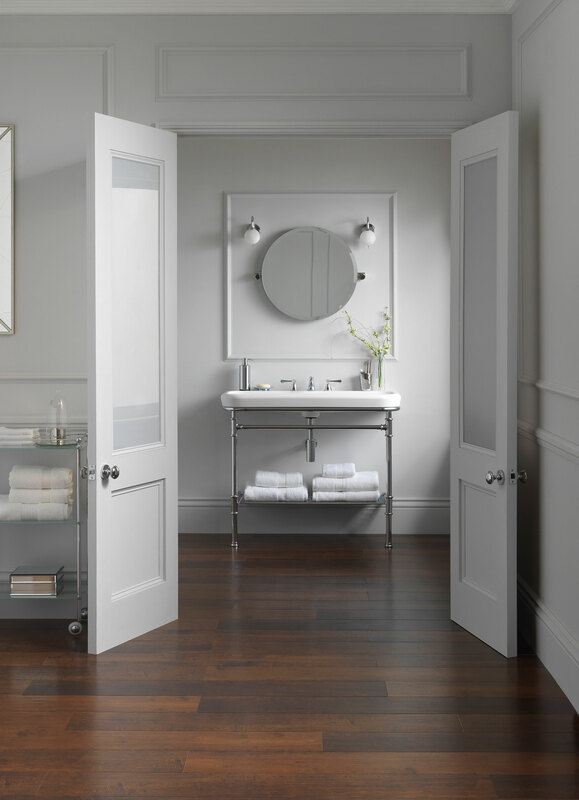 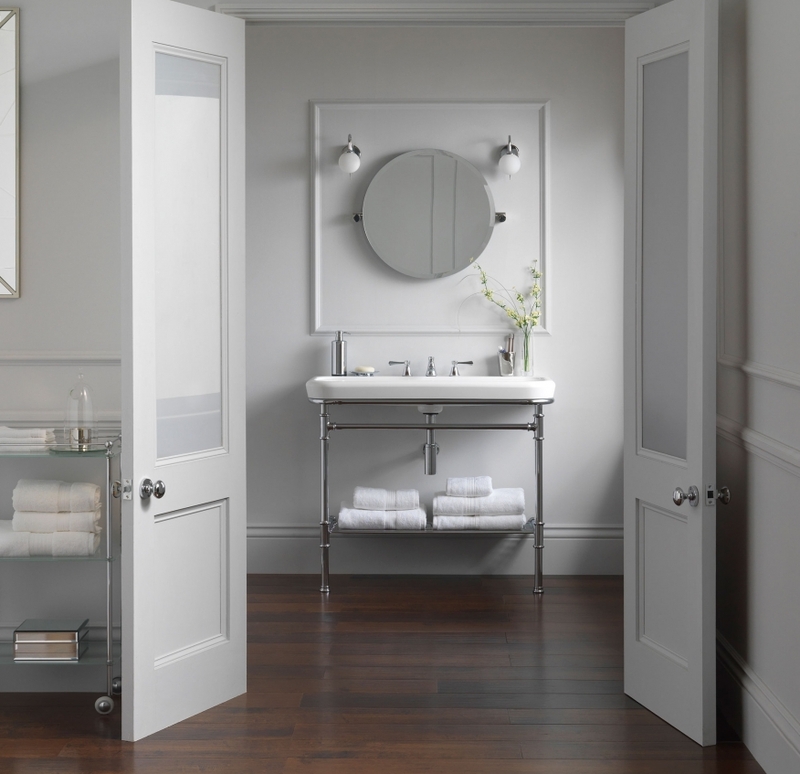 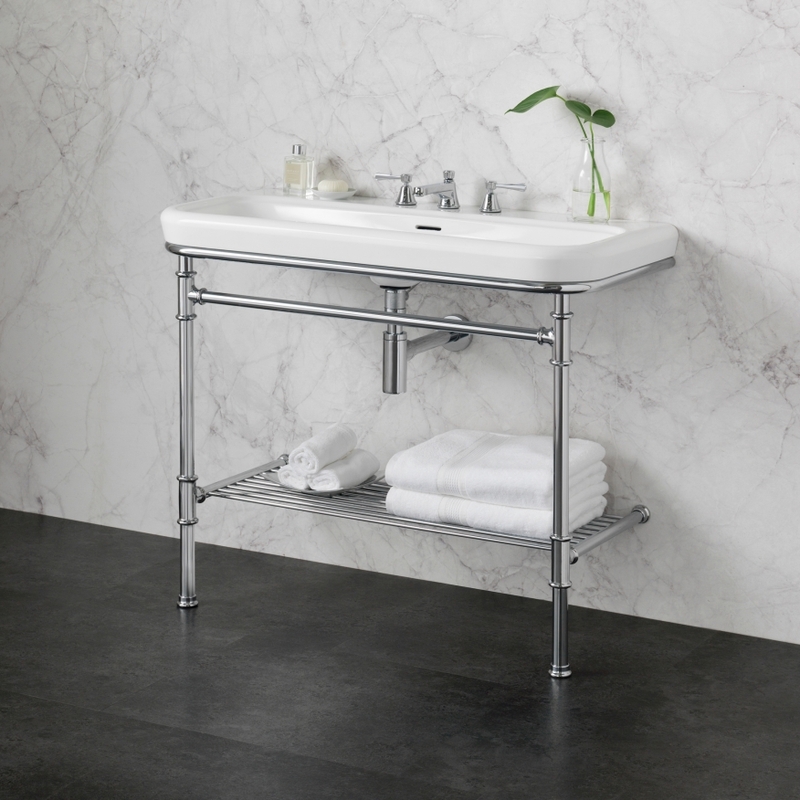 Each washstands features a practical towel bar and a storage shelf are practical yet well designed, lending a sense of hotel style to the bathroom. 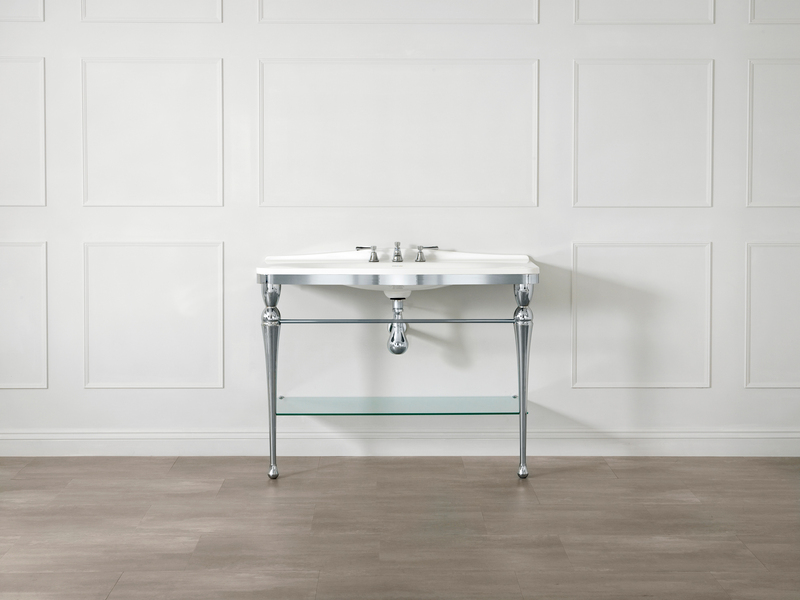 The washstands are available in two sizes: 114, which is topped with a sleek Mandello 114 Solo basin, or the 100, topped with a Victorian-inspired Lario 100 Solo basin. 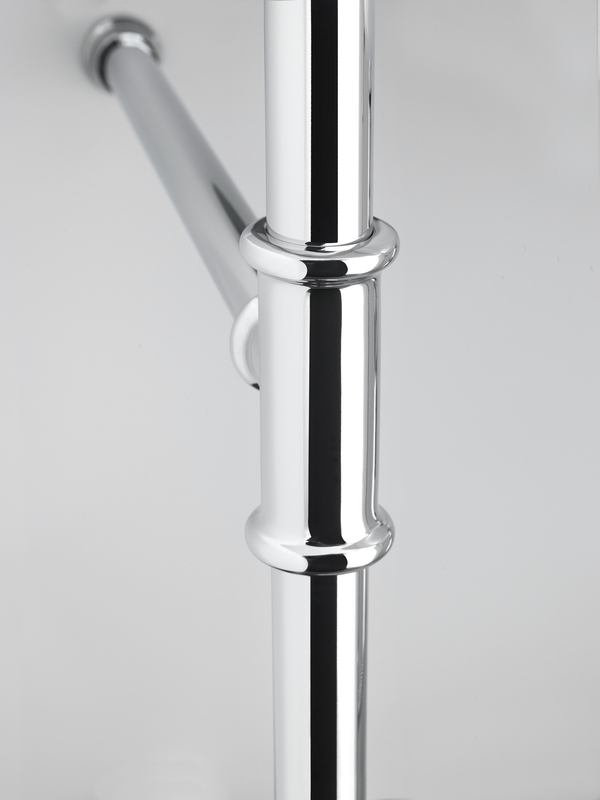 Also the washstands are available with 0, 1 or 3 tap holes so the installer can choose brassware that best suits the bathroom’s design. 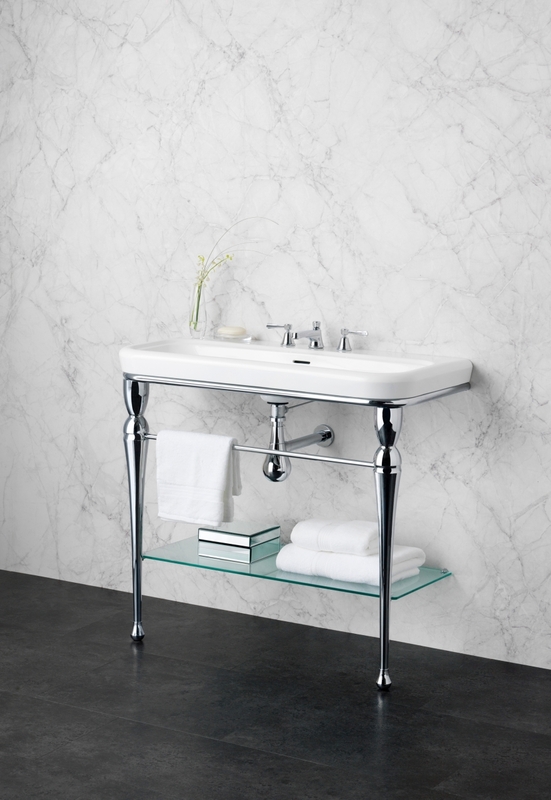 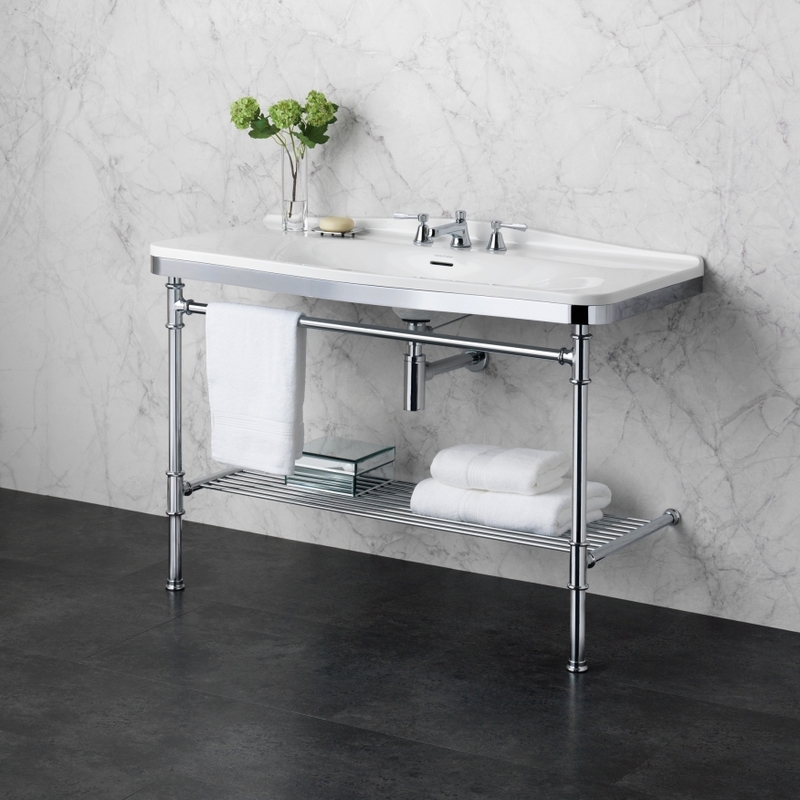 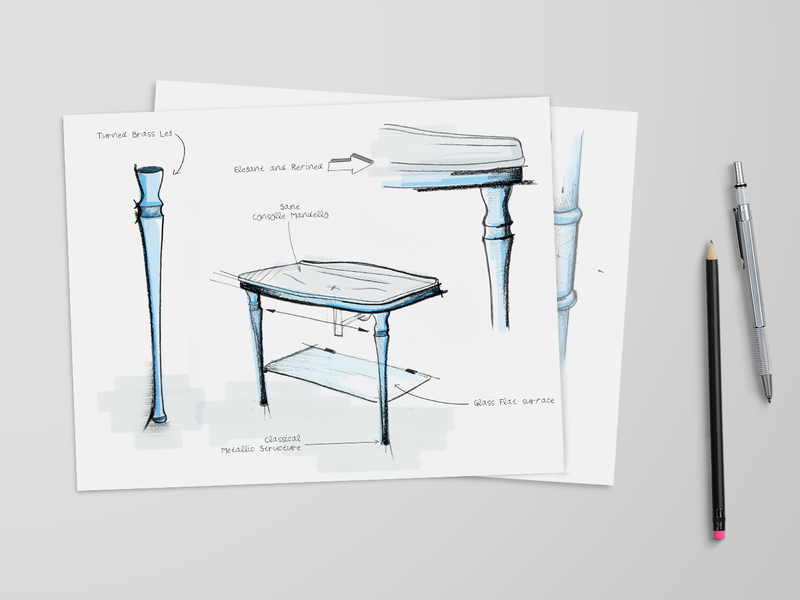 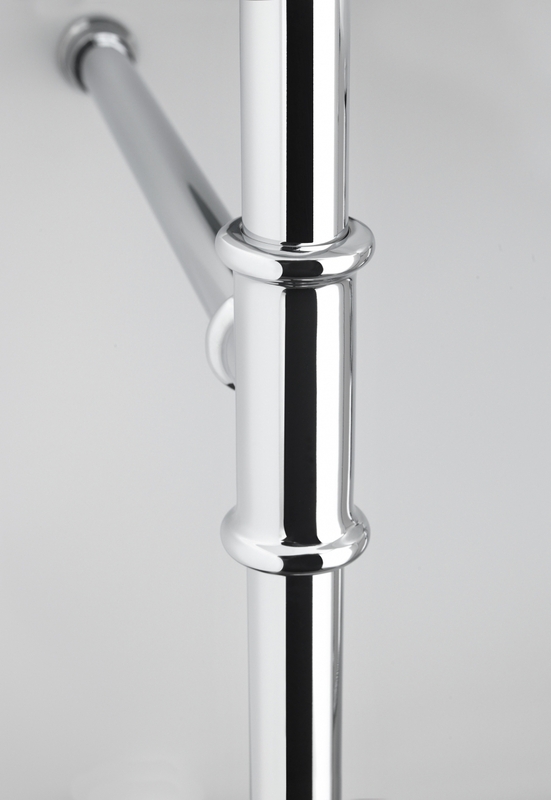 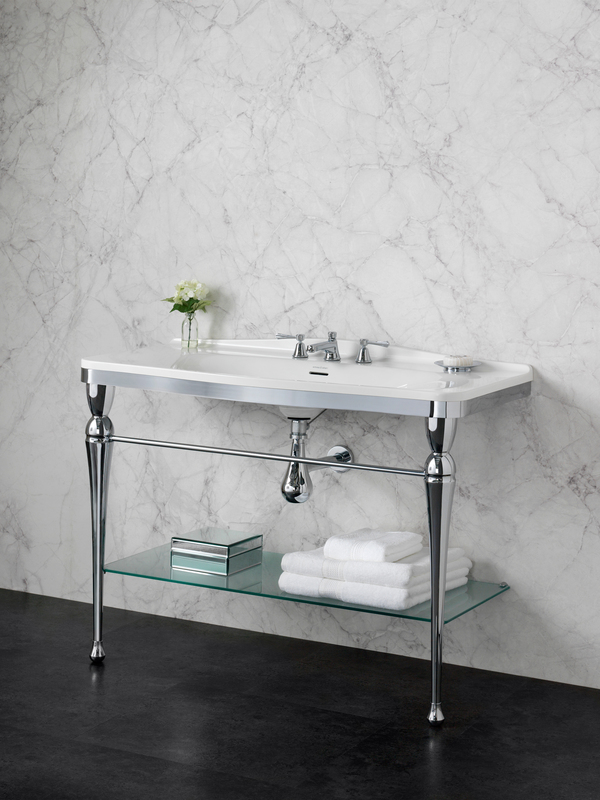 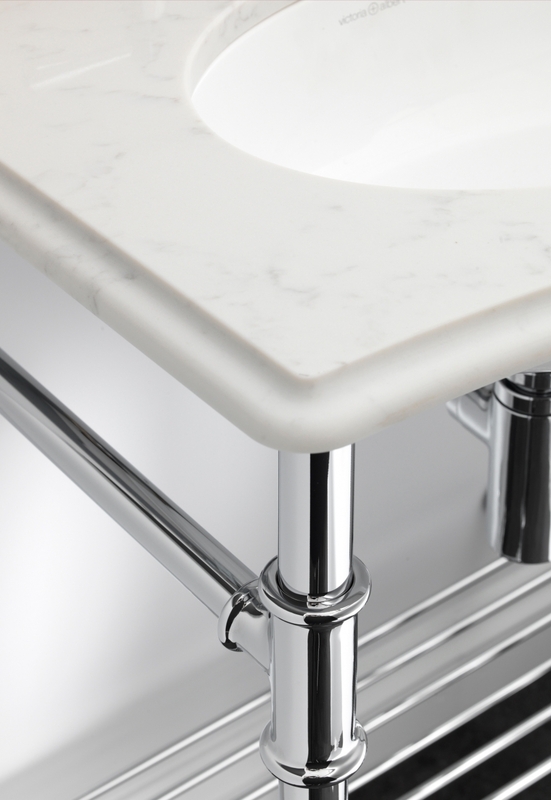 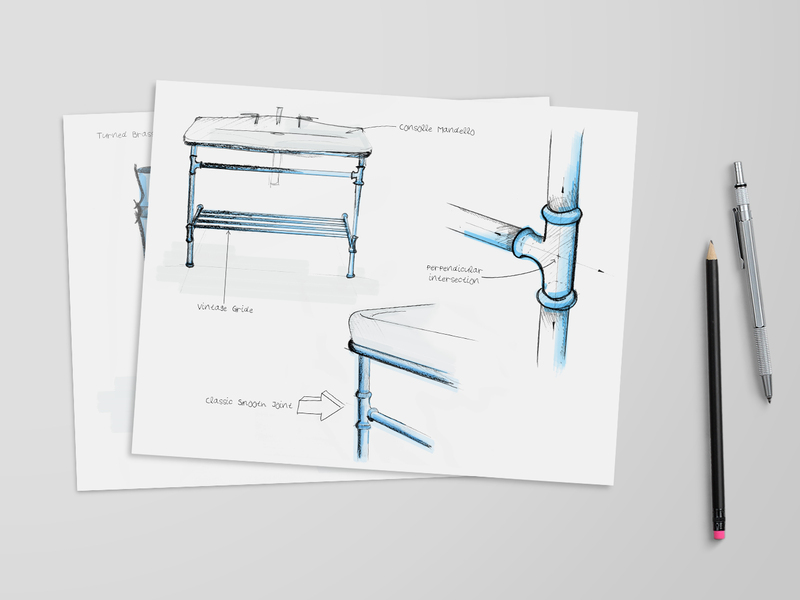 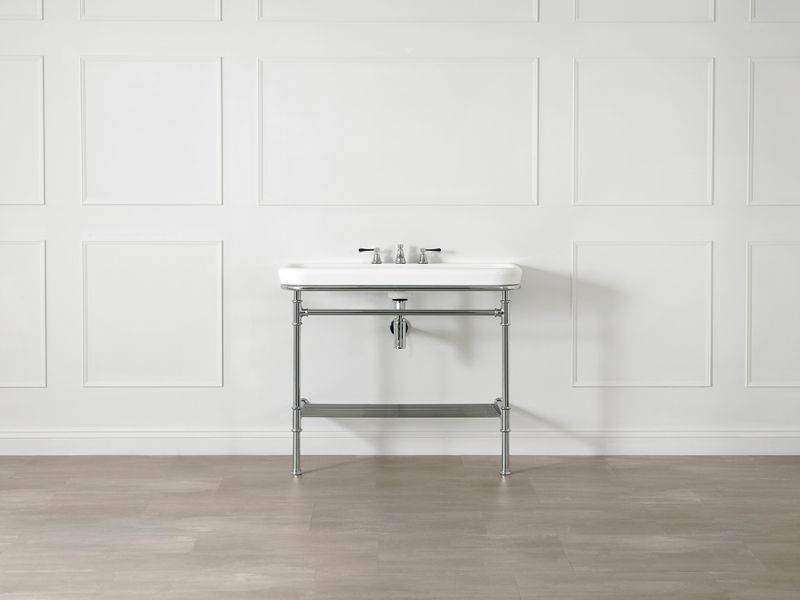 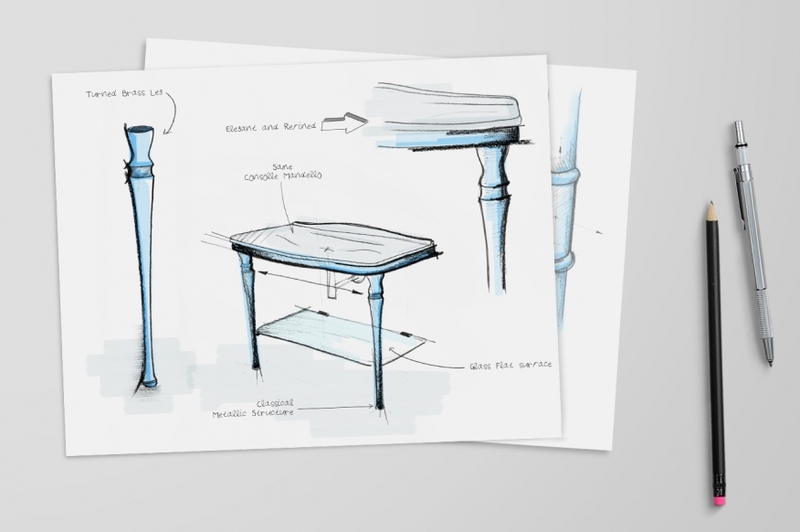 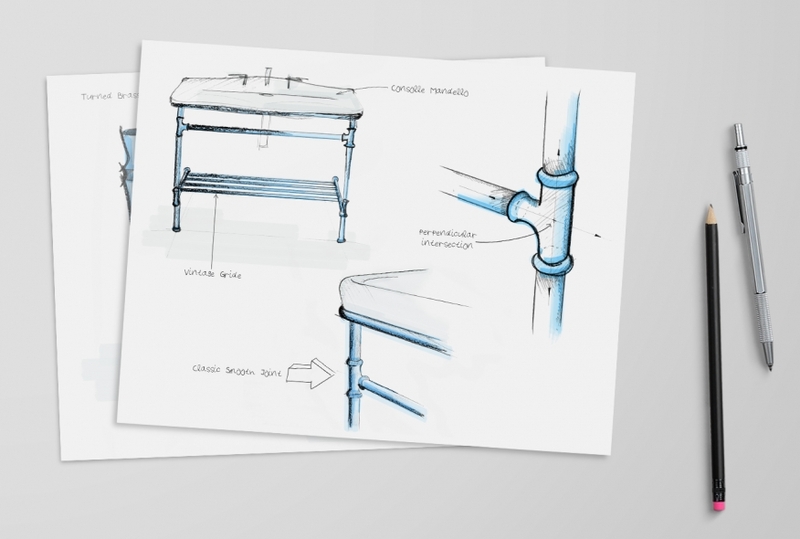 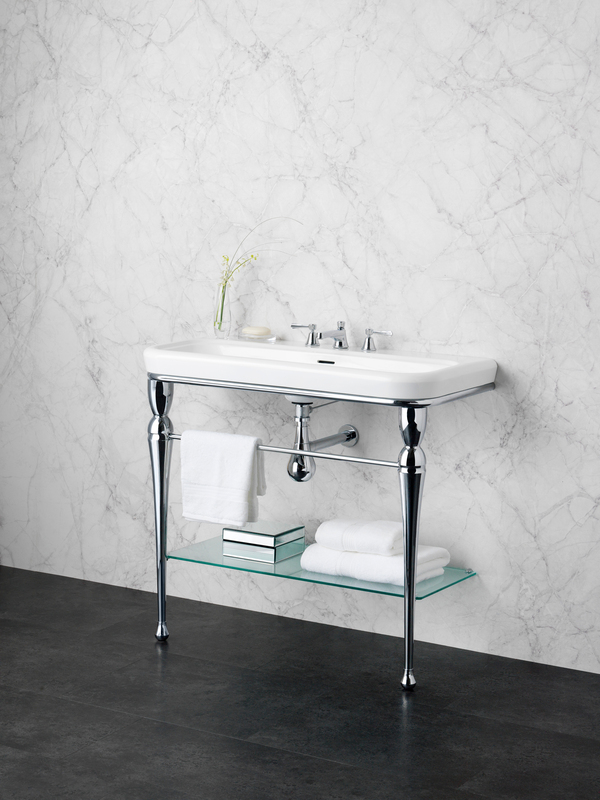 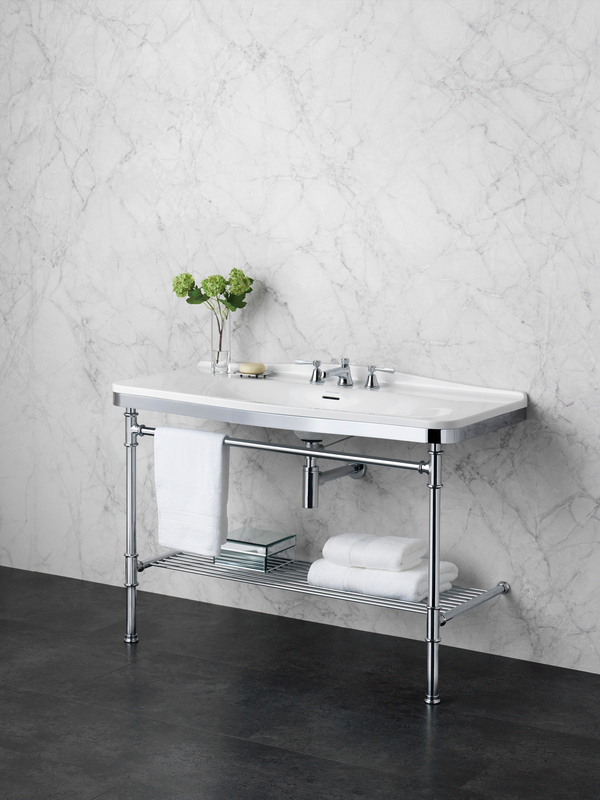 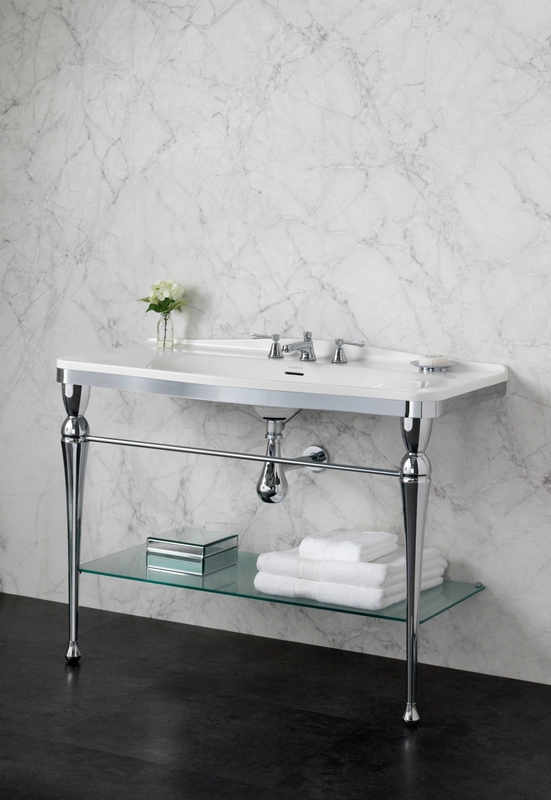 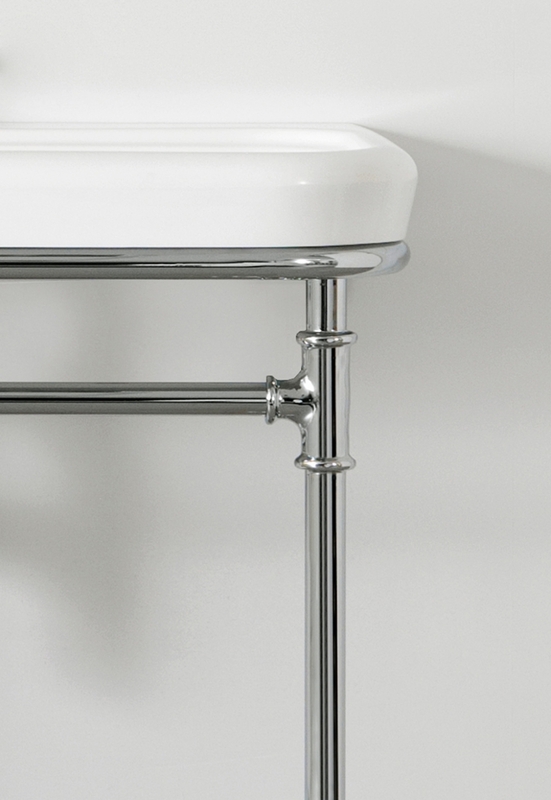 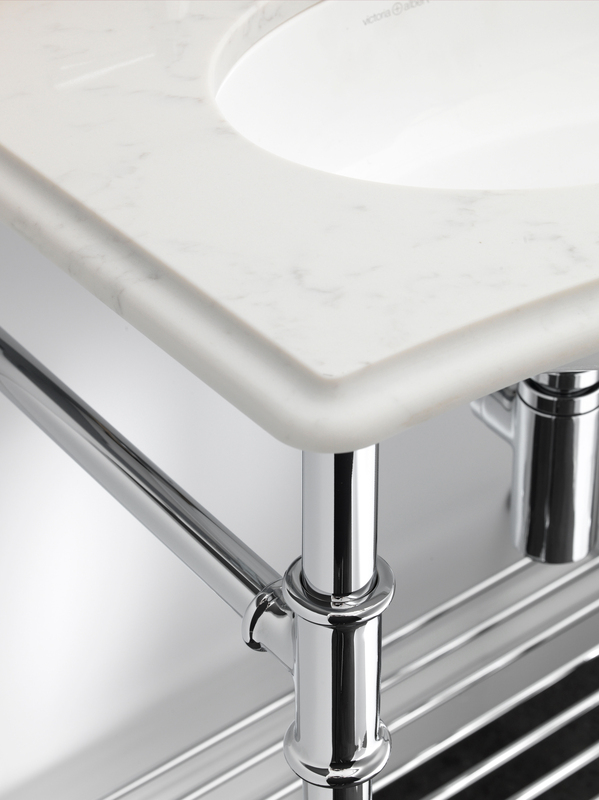 Each washstand also features an adjustable screw on the legs for perfect levelling.